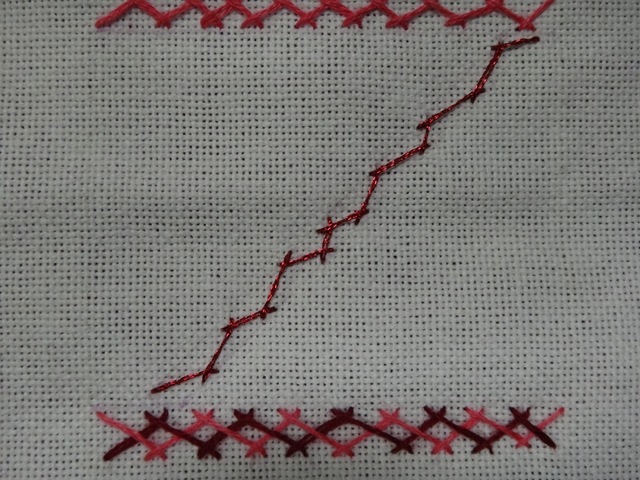 The stitch for week 5 was the Herringbone stitch. I like it but had never tried the Double Herringbone, which turned out well. On the 1st quarter of my February CQJP I used a couple of different size Herringbone stitches and also a Double Herringbone. 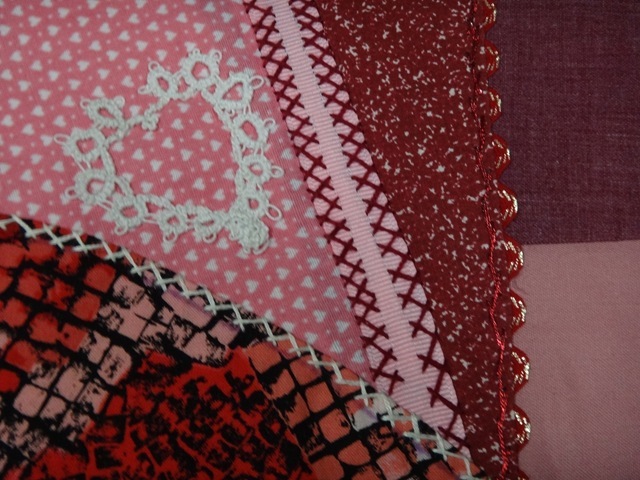 I added some gold trimmed rick rack and since the theme for my February block is hearts I added a tatted heart. 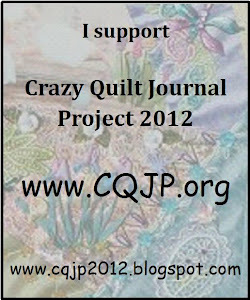 This entry was posted in CQJP, heart, Tatting. Bookmark the permalink. I love the heart! This was your own design, wasn’t it? Good job!